Post Event: We Talked to Some of the Amazing Women at Publika FAB Wonder Women, Let's Hear Them Roar! Congratulations ladies, it is your day! Happy International Women's Day. The international women's day is a significant moment for women all over the world. It is not a pro-women day, but a day to commemorate women for their contribution to our world's economic, political and social achievements. Have you ever wondered, how some of these ladies discovered their calling, and what makes each and everyone of them unique? Here's your chance to find out. In conjunction of celebrating this important date, we caught up with some of the inspiring, entrepreneurial women at Publika FAB Wonder Women to find out more about their creative contribution to society and the economy. 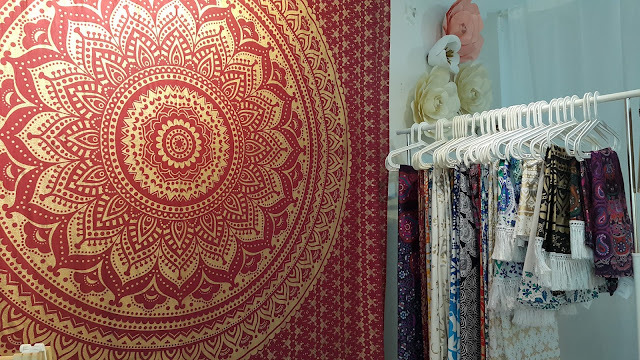 Royal Mandala was founded by Puvana and Veno in December 2016, offering a beautiful wide range of affordable mandala tapestries from Jaipur Rajasthan. The mandala designs are made of 100% organic materials and vegan-friendly dye. The duo made sure that the tapestries are carefully curated to serve its purpose, whether it is for a wall background, yoga or a chic, fashionable wear. Jennifer Thomas is a passionate entrepreneur, who looks after the brand Wilimina Jewellery. The brand was originally founded by a couple named Wilma and John Bunk from Holland who lived in Penang before moving back to their country. Today, Jennifer manages the brand that offers elegant jewellery pieces inspired by long walks on the Penang beach; treasures of empty shells preserved and turned into fine accessories. Shelby Kho offers one of a kind, chic handmade jewellery and plate decor trinkets. Her works are often inspired from her travels such as Paris and London. Her customer based are mainly international and they purchased from her via Etsy, and the locals buy from her from bazaars. One of her unique accessory that caught our attention, are her urchin shells that are turned into one of a kind charms and jewellery pieces. Ling Hooi Yin started TinyPinc Miniatures 7 years ago when she discovered her niche in miniature clay. Her miniature works are mostly inspired by popular Malaysian food and kuih-muih (pastries). Ling described her work as an intricate process, because it takes her half an hour to finish a sculpture, followed by turning it into a costume jewellery. Each miniature is made with love and perfection. Nabella Malinka is the person behind Art of Nabura. Nabella start her jewellery collection 3 years ago, but already a passionate, intuitive artist as a child. Nabella travels to different places and sells her work at bazaars. If you find Nabella's creations magickal, you are right. Each and everyone of her creations carry a unique sense of energy, like the semi-precious stones she used from her travel adventures or the feathers that she used for her goddess-like earpiece collection are from bird keepers. Some even carry unique stories too, for instance a stone called Rhodolite a.k.a dreamer stone used for one of her handmade jewelleries, was used by a shaman for a spiritual journey. Sisters Azrena and Atiqah Zakaria are the flower fairies behind Petik Bunga. Azrena was a cabin crew before diving in to the floral arrangement business with her sister, Atiqah. Petik Bunga have been in the scene for 3 years, and already made a name for themselves in Kuala Lumpur and more. 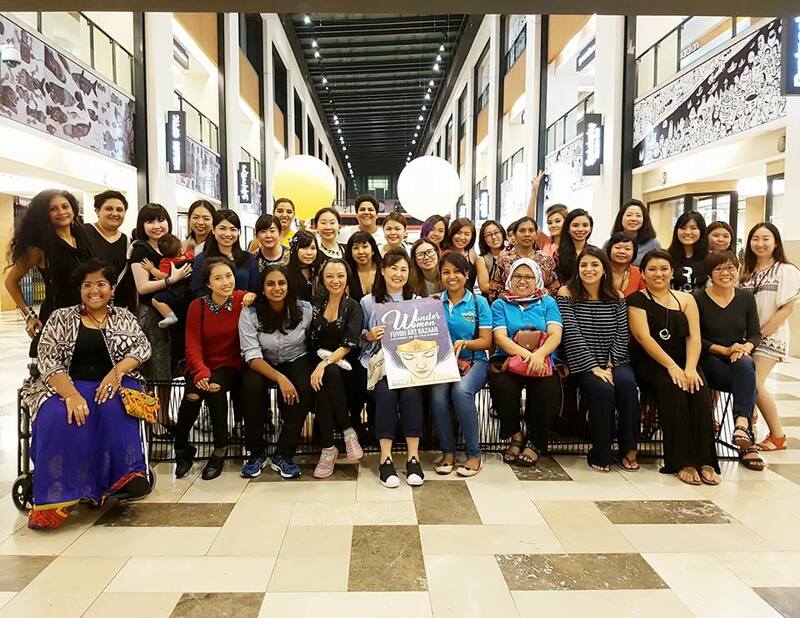 In collaboration with Publika's Fuyoh Art Bazaar, Wonder Women was organized by Makers & Co, an all women event that featured 40 different female entrepreneurs from the fields of arts & crafts, food & beverage, fashion and more. The Wonder Women event was held at Publika, The Boulevard from 24 to 26 February 2017. There were various activities held during the 3-day event, from speed painting demo by Malaysian speed painting artist Haze Long, story telling time by Gardner and Wife, and live painting session by Malaysian artist Thineswari. Want to see more photos from the event? View it on Facebook!